Out of the many pieces of art stuff being sold at the top floor of Milad Tower in Tehran, this particular piece caught my eye. The seller happened to be an very kind and aged lady who I am sure in her younger years was a beauty. 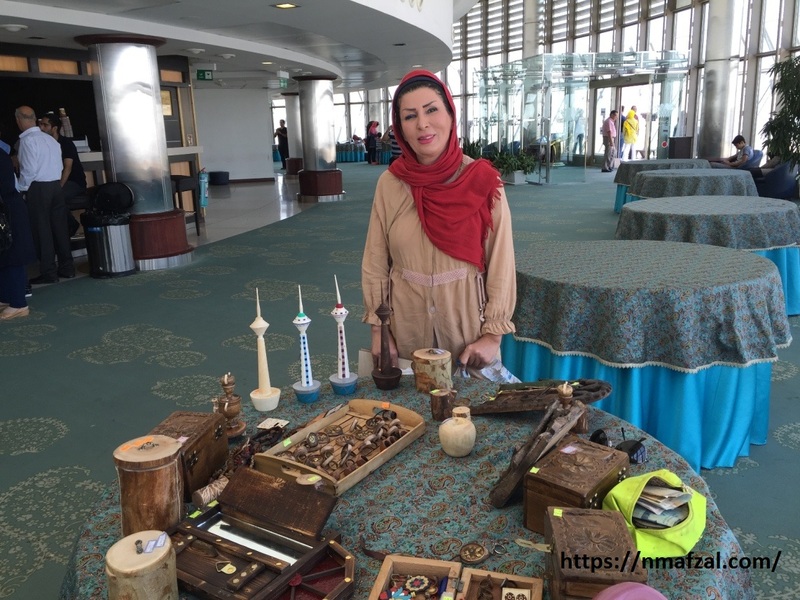 I bought two ear rings made of wood painted in beautiful colors, in fact I was toying with three of them when she asked me how many wives I had? Literally taken aback I said just one 🙂 the motherly figure smiled and pointing at me said, “Oh I know you men!”. That brought out a laughter from the buyer as well as the seller. 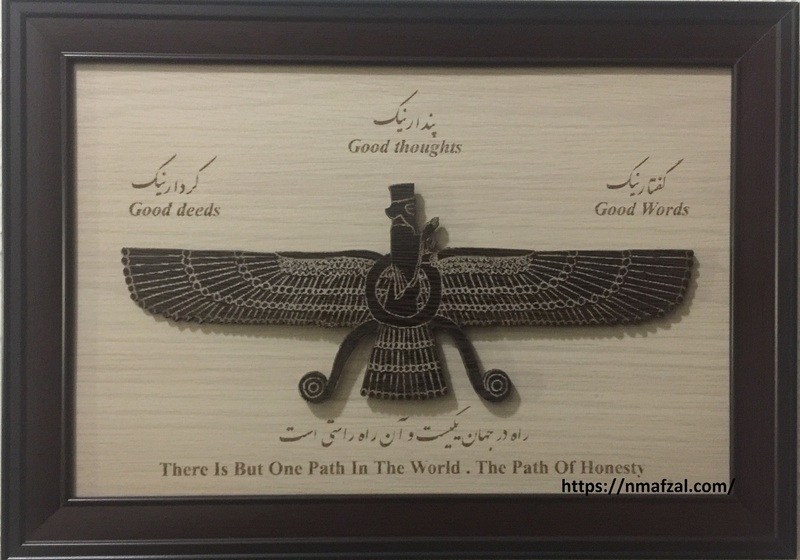 On instinct I decided to buy this photo which actually happens to be a simple wooden sheet with a photo of a winged man with the words, ” Good deeds, Good thoughts and Good words” written at the top and ” There Is But One Path In The World. The Path of Honesty”. How true I thought. That is when the motherly figure told me about it. It is a figure depicting Zoroaster Messiah, (from the pre-Islamic era) with his teaching written on it. But the figure itself is very philosophical as the kind lady explained to me. You can see its right eye looking at you directly, so this in effect means to look at the world with “right eye” symbolizing positivity. Both wings have three lines of feathers, each symbolizing Good deeds, good words and good thoughts. So if you do good deeds, say good words and carry good thoughts you will fly higher, meaning you will progress in life. Finally the feet are curved, meaning anything bad you do will come back to you and will not let you fly high or progress. The picture itself carries a great meaning. How true and Prophetic words!